The Preston area was first settled as early as 1800 by German-speaking Mennonites from Pennsylvania. They came, in part, to find land on which they could follow their preferred lifestyle and practise their faith away from the influence of cities. That influx of settlers was followed by a second, larger wave of immigrants from Germany and the German-speaking regions of Switzerland. Along with their skills, the new settlers brought with them a variety of beliefs. One writer suggests that by 1847, as many as 30 religious denominations were present in Preston, along with a sprinkling of free thinkers and atheists. Of the religious denominations, Lutherans formed the largest group; second to the Lutherans in number were Roman Catholics. There is some disagreement among early commentators concerning the size of Preston’s Catholic population in the early years. One source indicates that in 1837, the entire Catholic population of Preston and vicinity consisted of 34 males and 34 females. Yet in June 1837, Father John Louis Wiriath, the first missionary to serve Preston, gave it a Catholic population of 105 members from 23 families. In the early days, too few priests covered too large an area for one man to pastor the Catholics of Preston. From 1827 to 1889, Preston’s Catholics were served by missionary priests stationed in New Germany (now Maryhill), Berlin (now Kitchener), St. Agatha and Guelph. 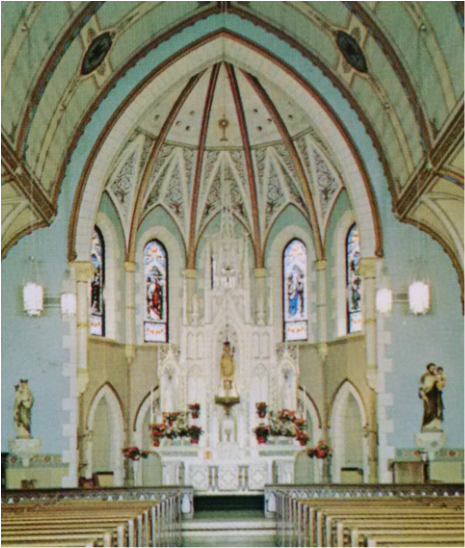 From 1889 to 1905, Preston’s Catholics were the responsibility of the priests of St. Patrick’s Church in Galt. to serve as our first Pastor. Father Lenhard’s pastorship was brief, only to March 18, 1906. 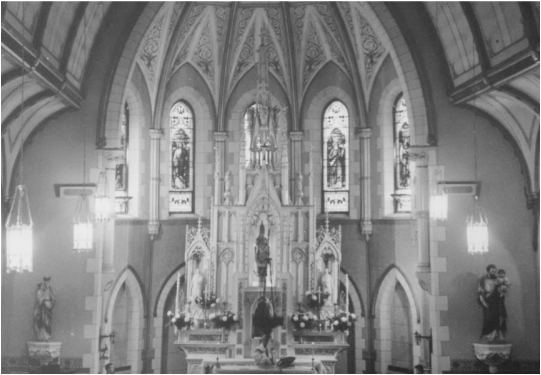 Our wooden altar, circa 1910, in its original home: St. Patrick's Church, Hamilton. primarily by members of the congregation. until the main structure was completed. on Sunday, November 26, 1922.
of Sunday, December 26, 1971. 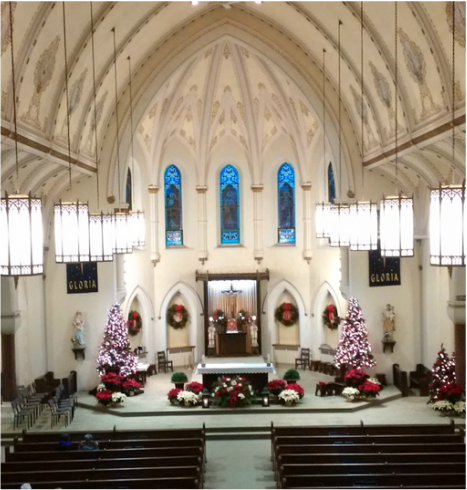 Christmas morning, present-day, from the choir loft. Because of Preston’s increasing Catholic population, the church acquired a property opposite St. Michael’s School on Concession Road, where a second Catholic church could be built if numbers warranted and finances allowed. That second church was never built but St. Clement’s Parish continues to provide spiritual guidance to about 3,100 families, including two Catholic elementary schools – St. Michael’s and St. Joseph’s – and, in part, to St. Benedict Catholic Secondary School. Pastoral care is provided to the Catholic residents of four nursing homes – Marian Residence, Golden Years Nursing Home, Fairview Mennonite Home and Cambridge Country Manor – and to Catholics in hospice care at Lisaard House, Cambridge, and Innisfree House in Kitchener.